In February of 2018, seventeen of us found paradise. 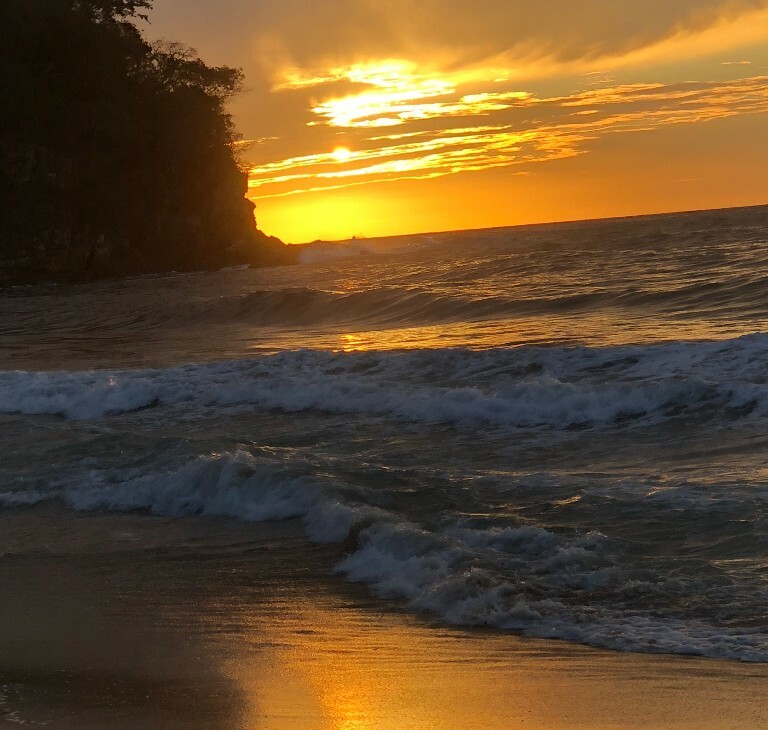 In the private beach, with each sunrise and sunset, and within the arms of new friends we took a collective breath and practiced yoga, hiked, played in the surf, went whale watching, snorkeled, played games, laughed, cried and relaxed. Our group returned from Mexico and can't wait to go back. Space is limited but we would love you to share this magical place with us next year. *Accomodations: 7 days and 6 nights at Punta Monterrey Beach Resort in a cabin of your choice. Two person Rustic Cabins are $1290 per person for the week and 4 person Luxury Cabins are $1410 per person for the week. 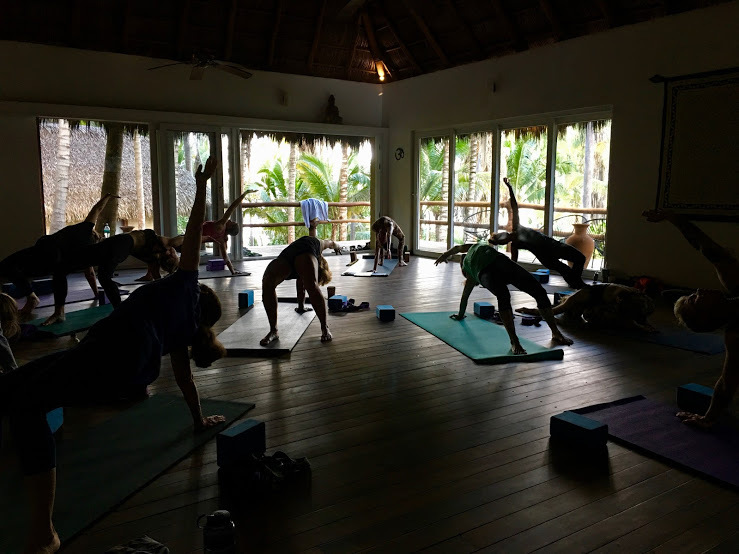 *Yoga: Each morning we will practice yoga together in the resort's private yoga studio as the sun rises. 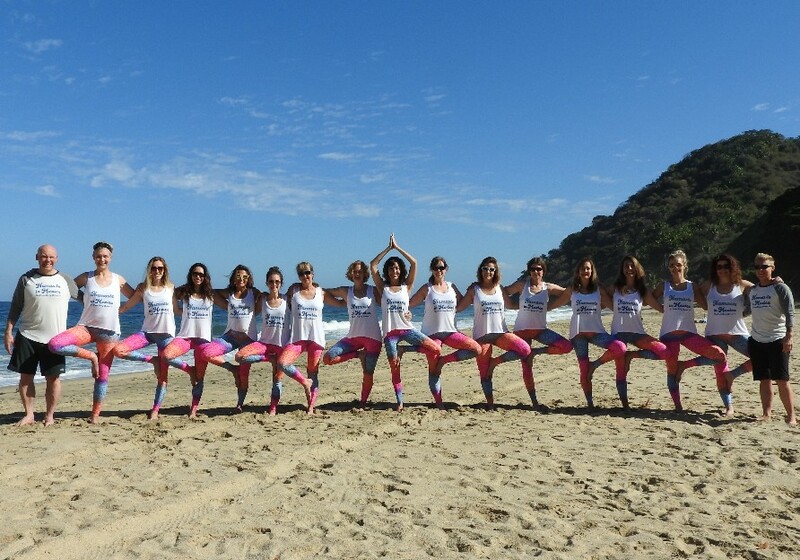 Each evening we will enjoy a yoga/meditation sampler of activities. *Airport Transfers: Round-trip ground transportation between the Puerto Vallerta airport and resort. *Flights: Closest airport is Licenciado Gustavo Diaz Ordaz International Airport (PVR) in Puerto Vallerta, Mexico. *Travel Insurance: Guests are responsible for purchasing cancellation insurance and travel medical insurance. Call or email to get an updated list of cabin availability! the more payment options and cabin choice you will have!